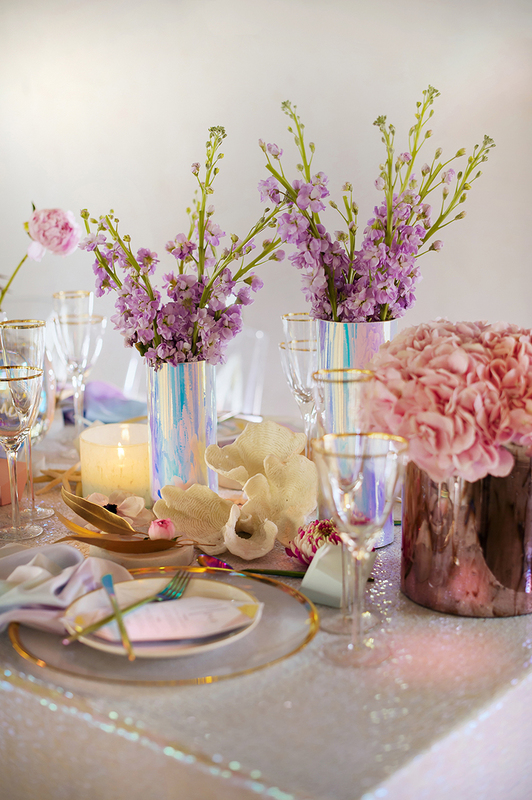 Alluring Iridescent colours and textures have been trending in the fashion, interior and fine arts arenas for some time now; and it is about time this lustrous colour theme is brought to life for the South African wedding market; as material and rental resources come available. 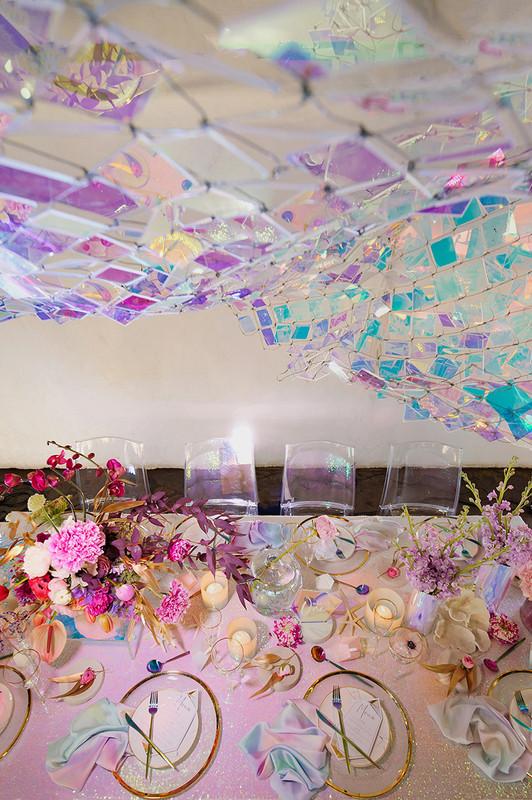 The scintillating colour pallet is just a magnificent choice for a bride looking to add a dream-like kaleidoscopic quality to her big day. 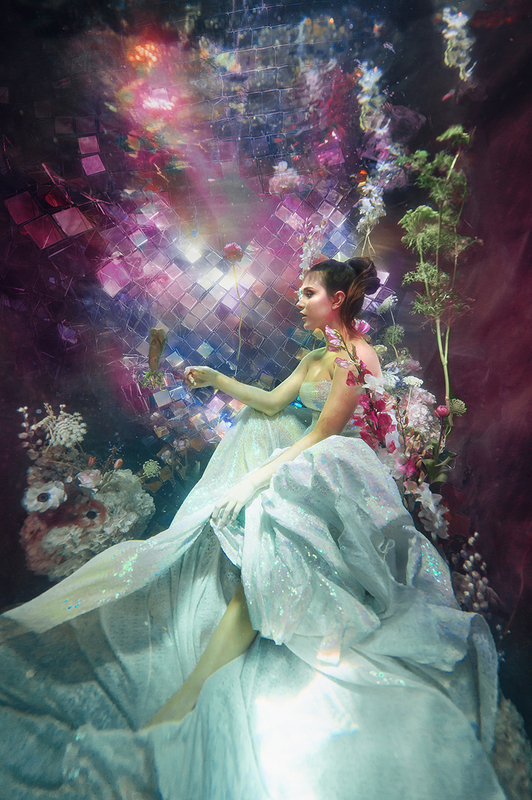 We jumped at the opportunity to work with the amazing Ilse Moore renowned for her underwater fine art photography. 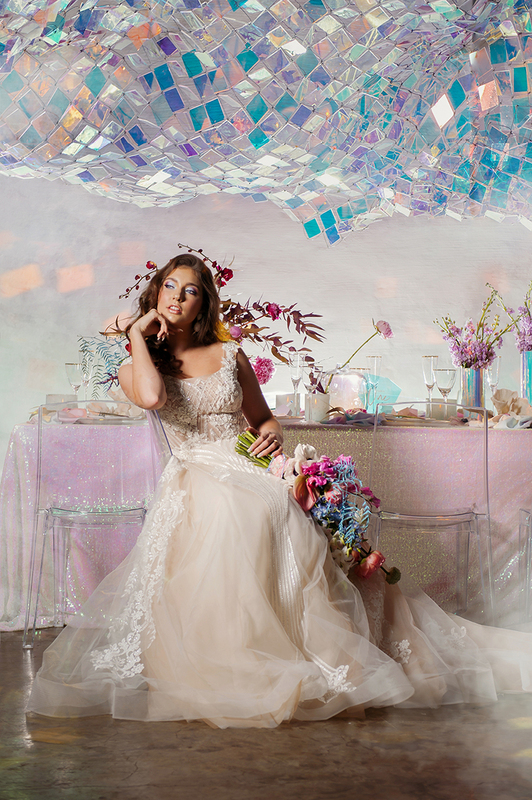 Hence, we opted to do both a wet and a dry shoot – with subtle under the sea references tying the theme together. 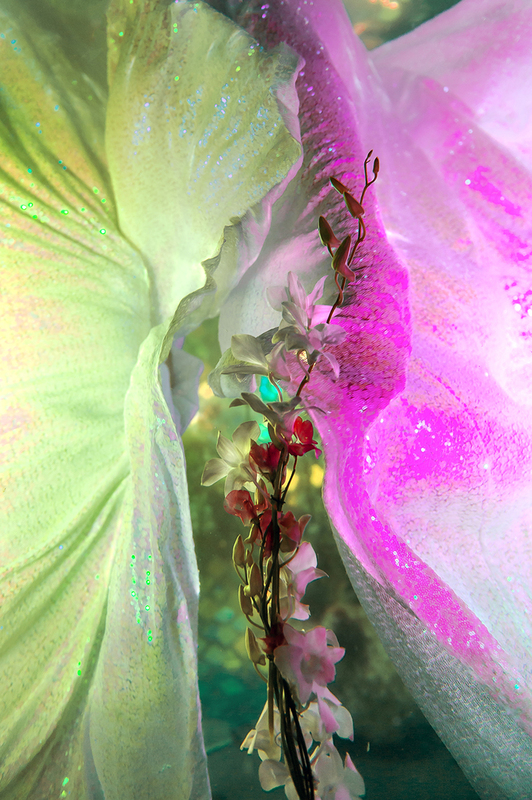 Iridescent colours and textures are prevalent in the submersed natural world – bringing to mind images of mermaids, gleaming shells, scales, marble, gems and treasure jewels. 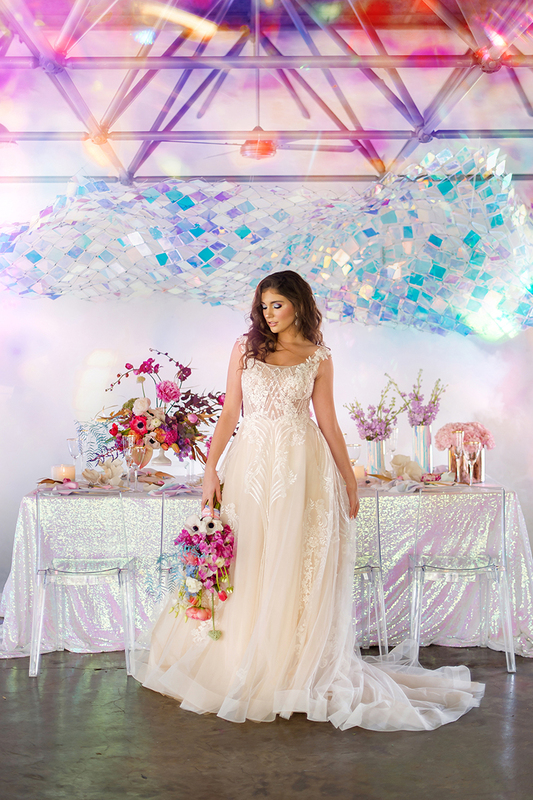 The stylised underwater “wet” shoot is representative of our bride’s fantasy as she imagines herself immersed in the iridescent beauty of all her styled multi-faceted design choices. 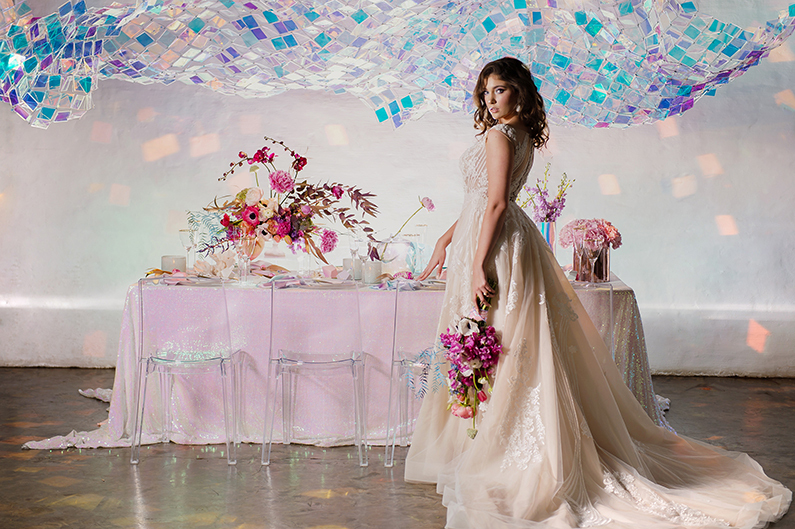 We manufactured a gleaming iridescent backdrop sculpture which we immersed in the underwater studio tank as a backdrop to our bride model. 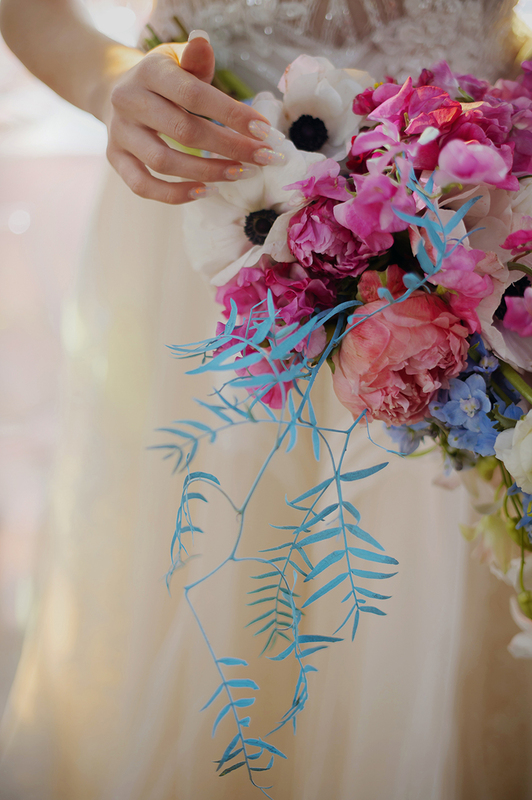 We also submersed floral arrangements, plants with bare roots and single stems of assorted florals representative of corals and seaweed. 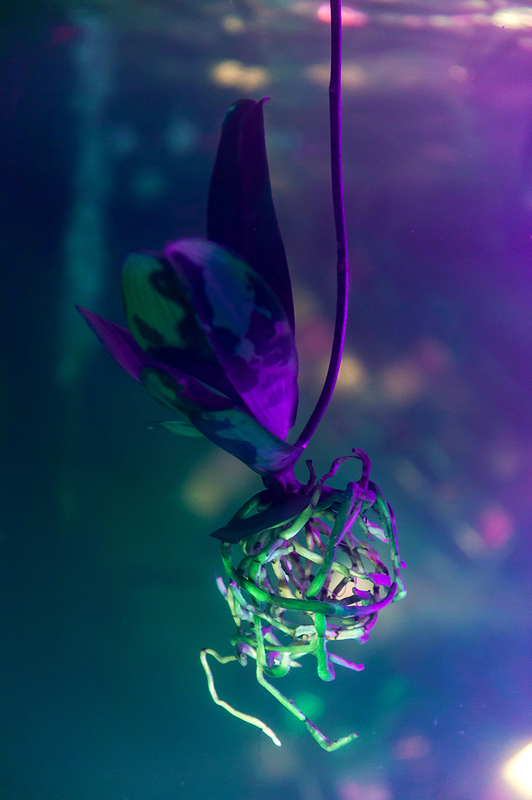 How exciting that our passion for scuba diving was given expression in our workday as we explored underwater “extreme floristry” for the first time – painstakingly gutting, wiring and weighting the flowers to stay in position. 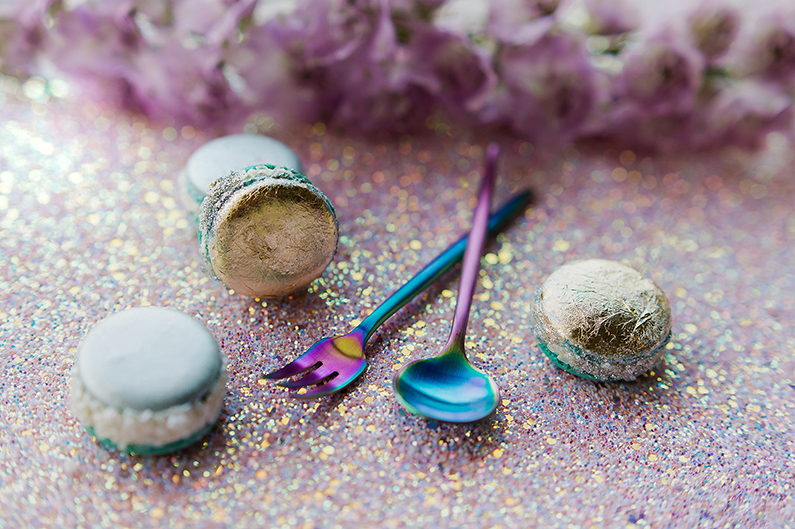 The main inspiration / design element for our “dry” shoot was our new iridescent cutlery set (So exited the shipment set to arrive this Spring!) 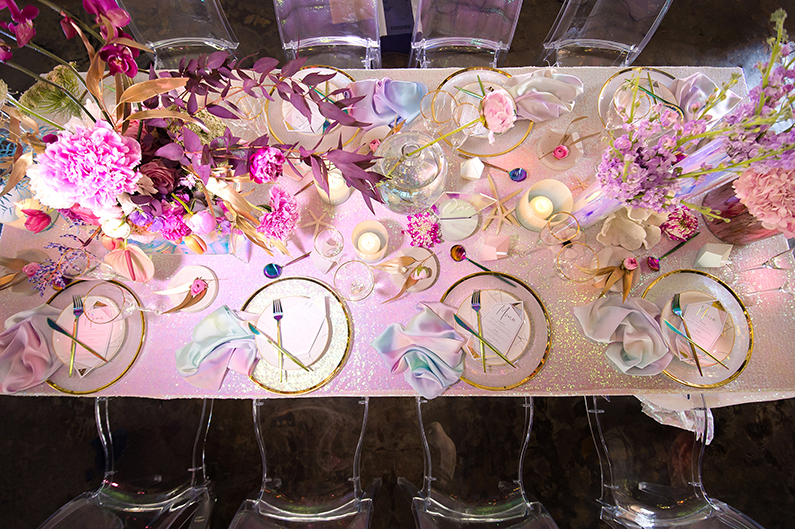 We draped the table with an iridescent sequin tablecloth, then layered gold rim halo glass charge plates with marble printed porcelain side-plates and paired with gold rim goblets. 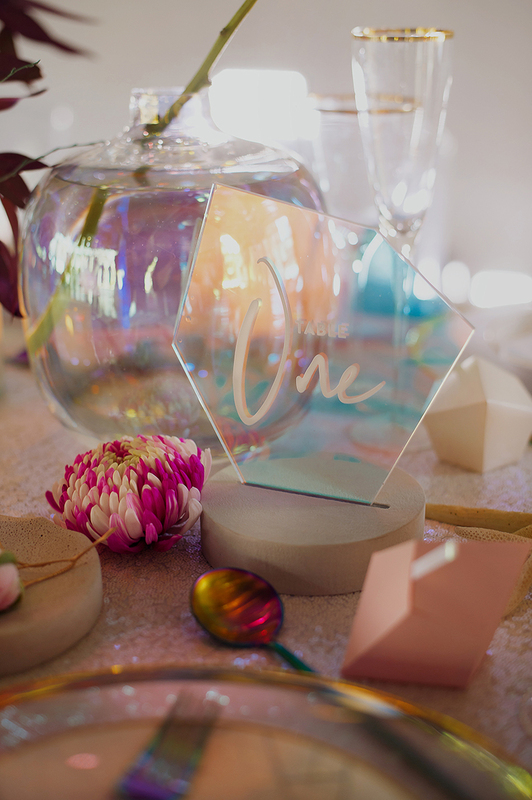 We manufactured bespoke rainbow printed napkins and a bespoke iridescent geometric perspex table number. 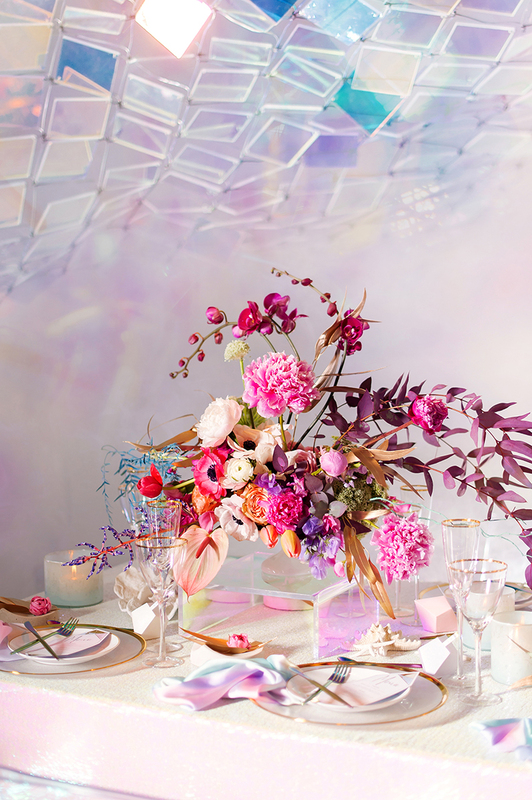 For the main centrepiece floral arrangement we picked up on the dreamy reflected colour pallet and utilised available springtime seasonal blooms – working with rhythm, visual balance and movement – creating a “floating” / “dancing” floral composition – balanced with simple single floral groupings in gleaming iridescent vases. 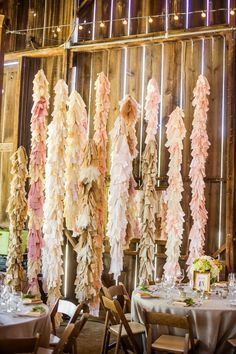 Coral and starfish sculptures were casually scattered between the other elements – subtly alluding to the underwater theme. 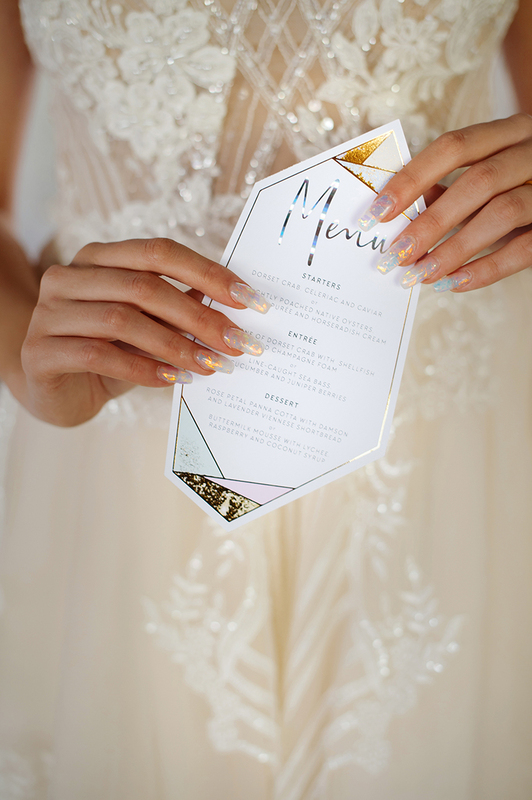 The bespoke geometric iridescent foiled stationery perfectly complimented the other design elements. 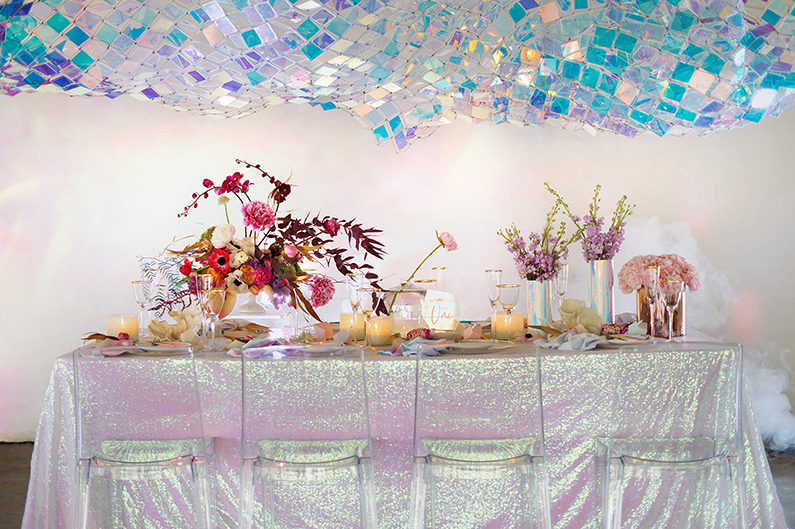 The hero of this dreamy tablescape is of course the bespoke multifaceted iridescent sculpture hanging over the table refracting an arrange of dazzling light; reflected beautifully in the perspex phantom chairs, perspex raisers and other glass elements. 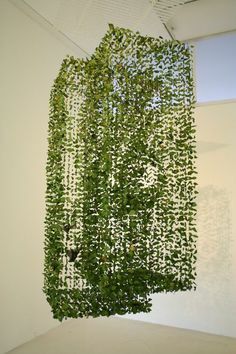 Beautiful cascading spring bouquet with aqua sprayed peppercorn leaves. 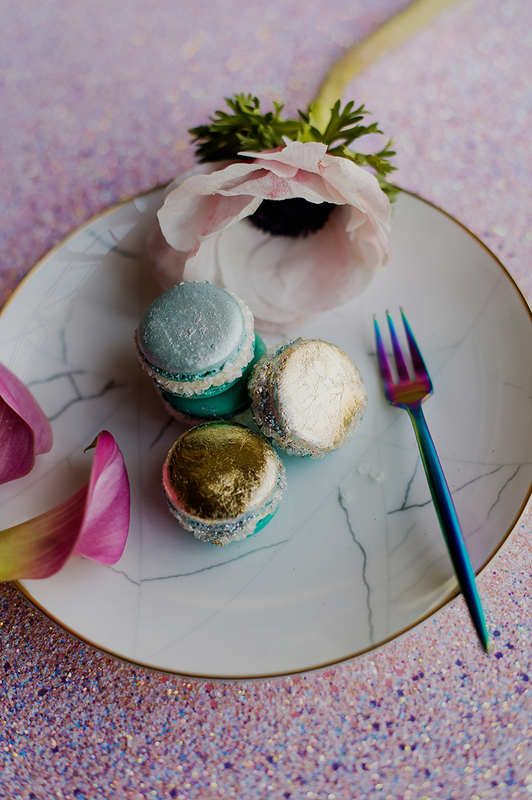 Our trending iridescent cutlery styled with marble printed porcelain side plates, foiled macaroons, springtime blooms, glittery and marble surfaces. 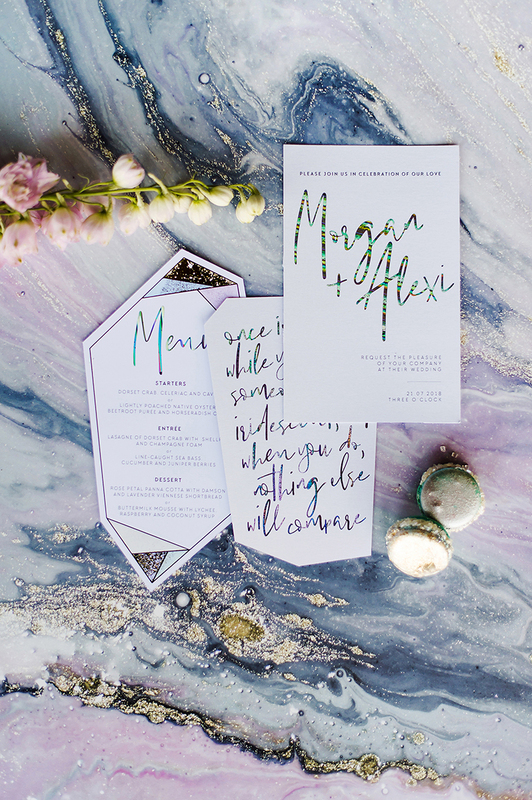 Bespoke geometric iridescent foiled stationery perfectly complimenting the décor styling. 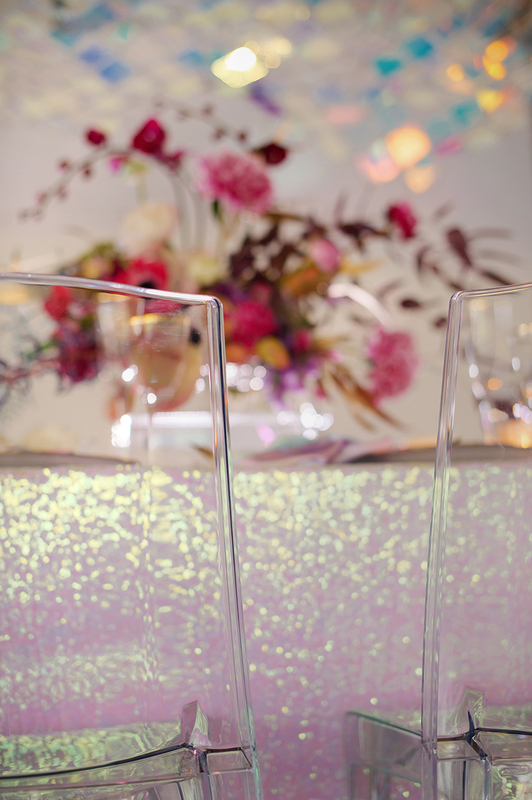 Our gorgeous circular framed iridescent balloon feature is an inspirational concept to carry the theme through to other focal display areas. 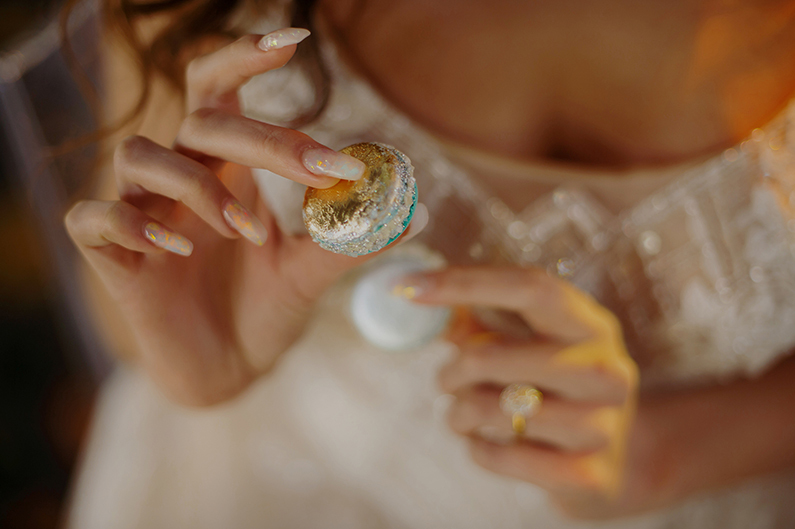 The agate foiled wedding cake and macaroons perfectly compliment the other design elements. Come up with a concept that inspires you and that you believe will showcase your talent and enhance your portfolio the best. 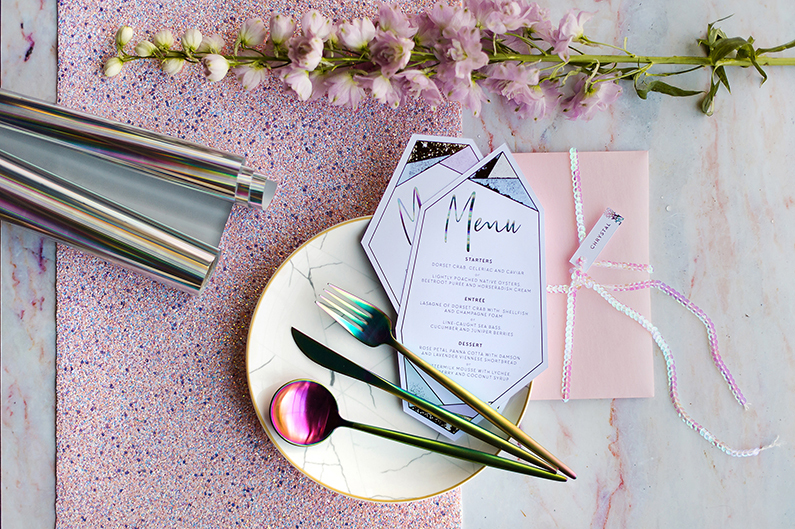 A styled shoot is an opportunity to pull out all the stops; to show what you are capable of without the constraints of a client’s vision or budget. 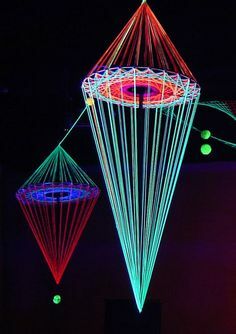 Your imagination, your time, your budget and resources are your only limits. 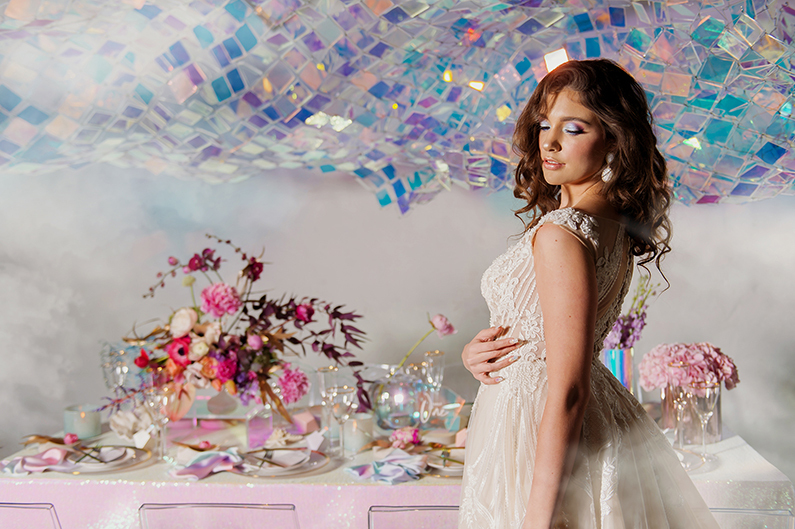 Do your research into other styled shoots so get both inspiration and to avoid replicating other stylist’s work. 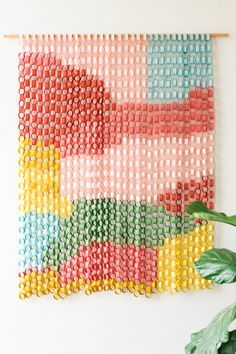 See what concepts / colour schemes / themes are trending or with authority and confidence set some trends yourself – leveraging your personal gifts and talents. Identify what your main source of your inspiration is and build around that. 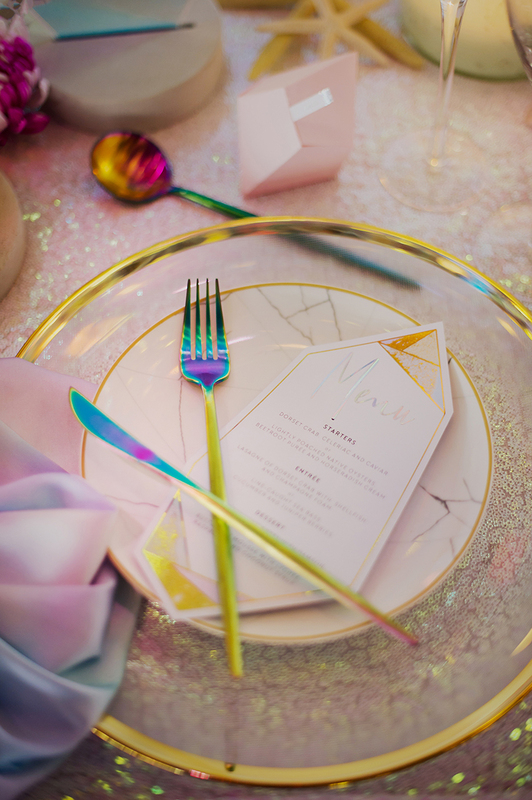 It could be a pattern, it could be a specific flower, it could be a theme, style or colour pallet, it could be a piece of furniture, a bridal gown, a venue space, etc… The main inspiration for this shoot was our iridescent cutlery set. 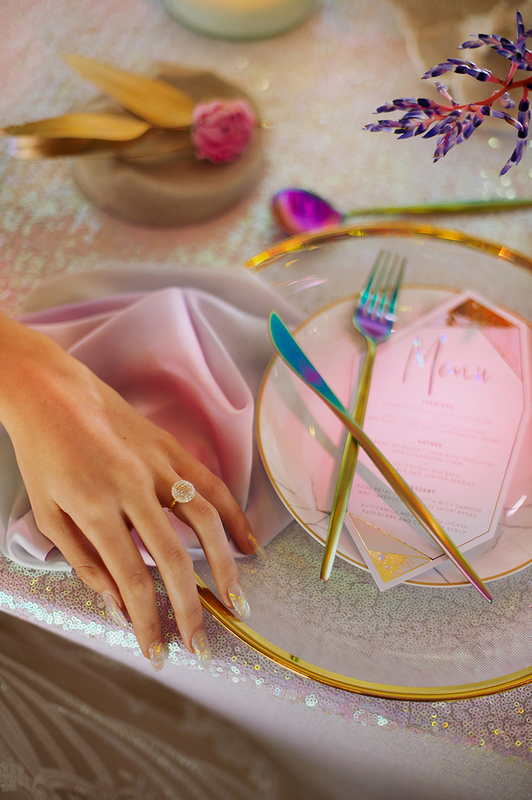 We built the entire concept around this cutlery set and just let the ideas flow and theme evolve based on the resources we could get our hands on. 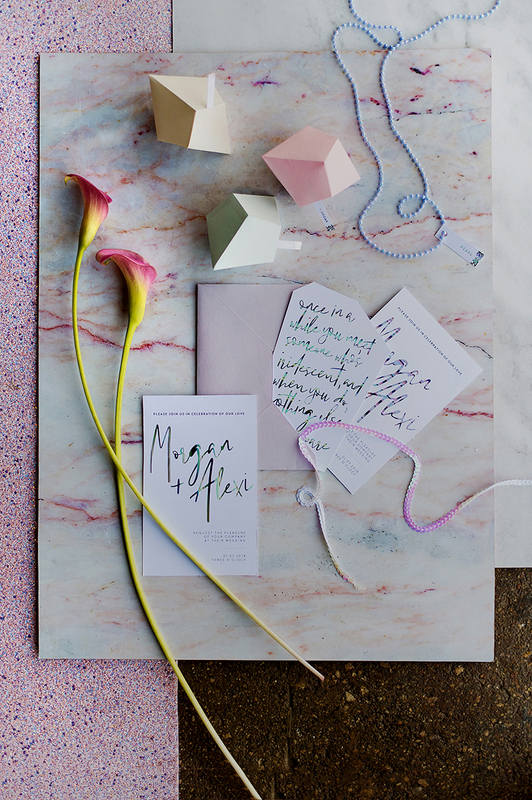 Put together a concept mood-board to consolidate your ideas, get focus and enable your team to buy into the vision. 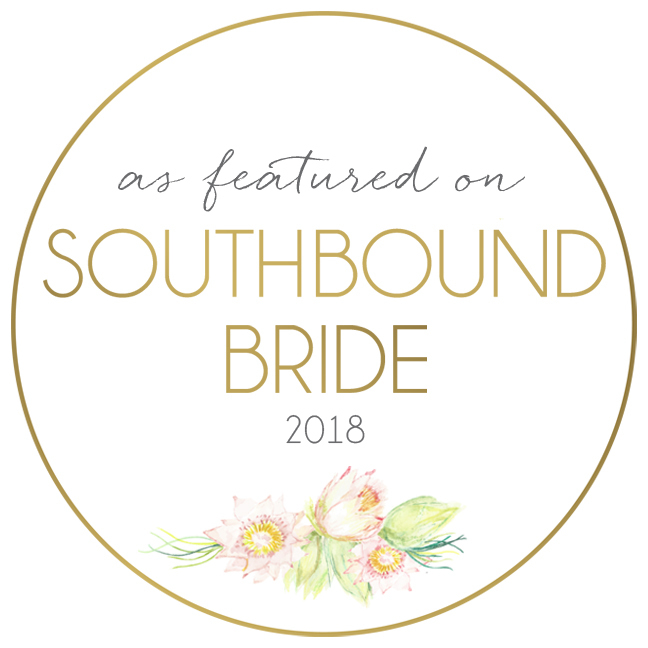 Put together your own dream team of industry vendors who will support you in your vision and who are willing to offer their time, products, services and talents for free – for the opportunity to collaborate to produce beautiful portfolio worthy images. 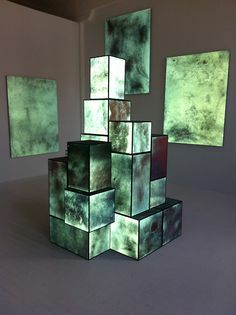 All participants will benefit from the networking opportunity, the inspirational creative experience, the set of professional photographs and the credits of all individual marketing efforts. Don’t be too controlling of your ideas and vision – give your team the freedom to bring their part and allow for that collaborative magic to happen. 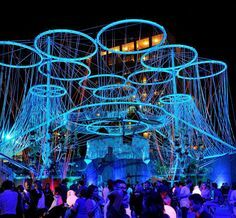 You can only plan to a point – play and have fun and enjoy the experience. Approach magazines and / or blogs and submit your shoot. If your final product is of high quality, publications will jump at the opportunity to get free professional content for their platforms. Be sure to abide by the publication’s terms and deadlines. Most magazines will ask for exclusivity until such time as the magazine hits the shelf. 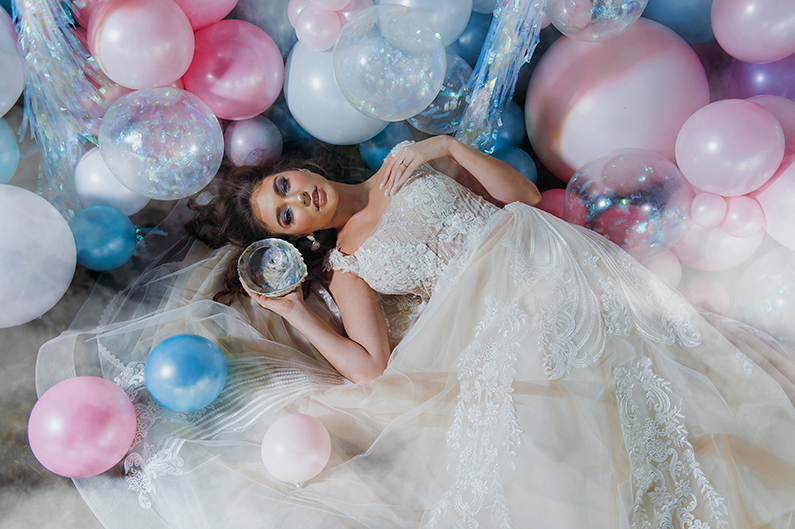 It is a good idea to plan your shoot well in advance so that the desired publication release date is suitable for the seasonal theme of your shoot. In other words, you don’t want to submit a shoot that has a wintery theme for a publication that is coming out in spring. A further consideration is if you are wanting your shoot to be published in spring, you more than likely will need to shoot in autumn so you can source spring import flowers from Europe. This will also give your photographer enough time to edit the images and still meet the submission deadline. 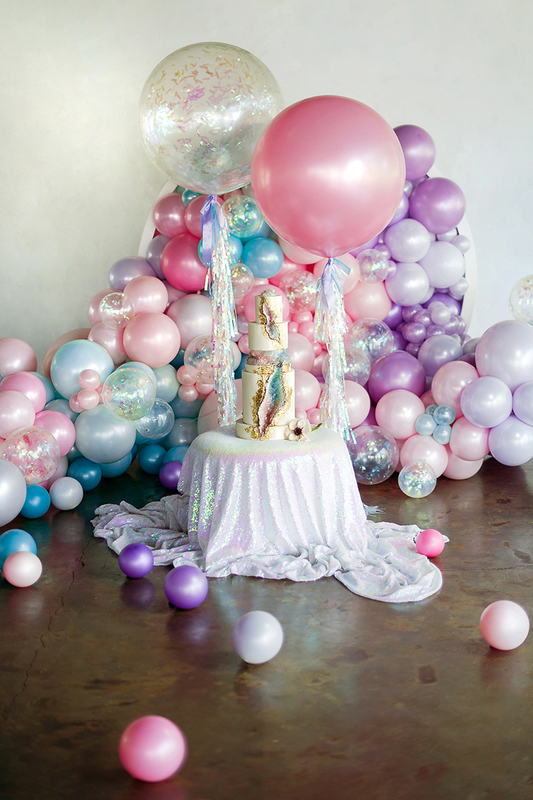 So you needing to produce the shoot 3-6 months in advance of desired publication date. 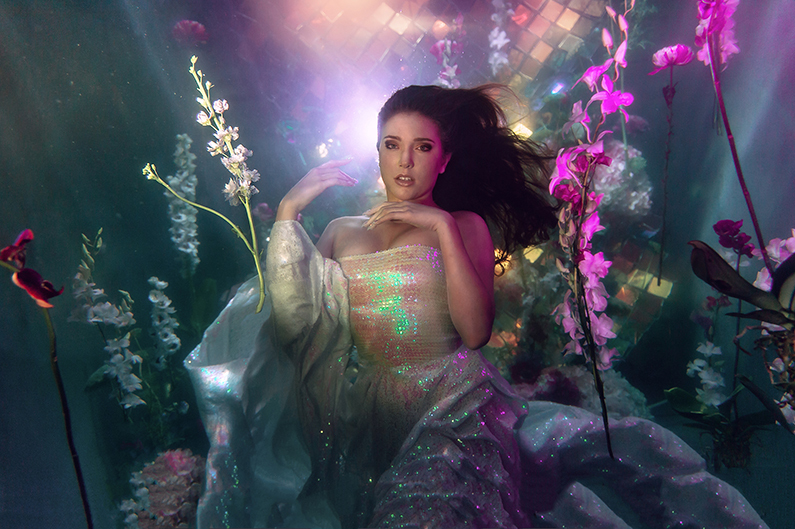 We shot this shoot in the middle of icy winter – yes underwater shots and all! 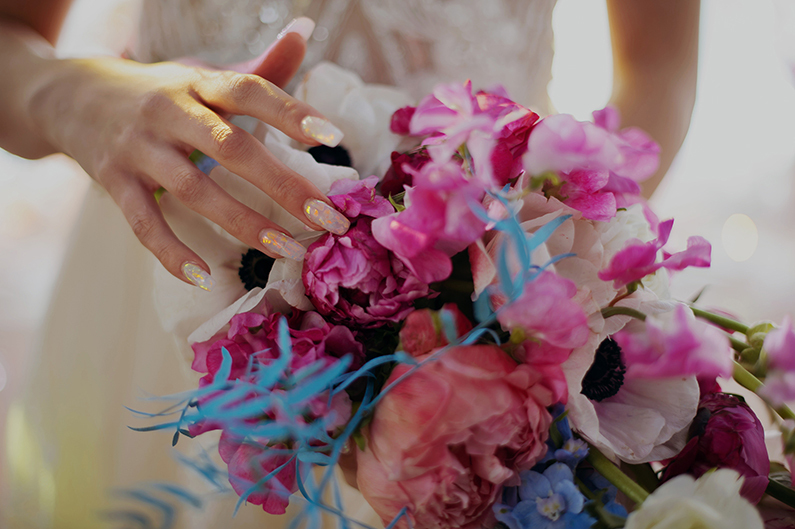 The ideal day to schedule your shoot day on a Thursday as you will have the best floral options available for collection from the flower market on the Wednesday before. Most imports land in Johannesburg on Monday’s and Wednesdays. 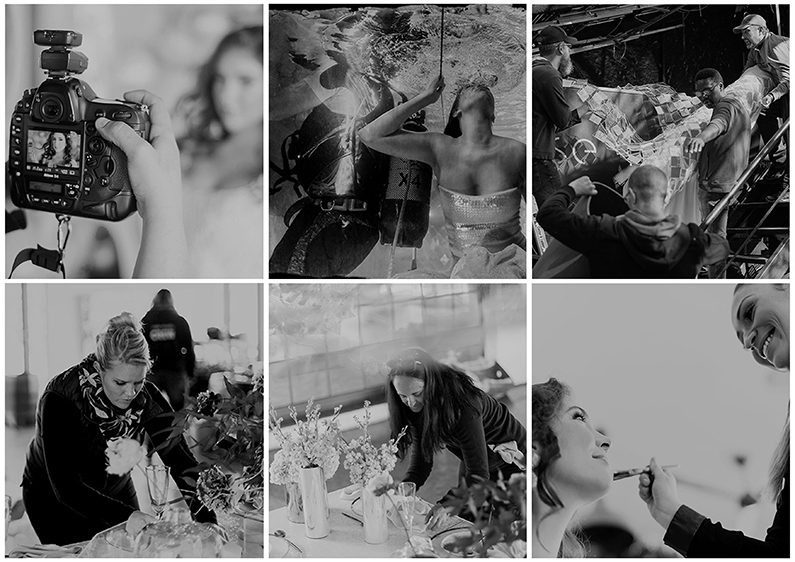 You will also get more vendor buy for a weekday shoot as they tend to be working on Weddings on the weekends. 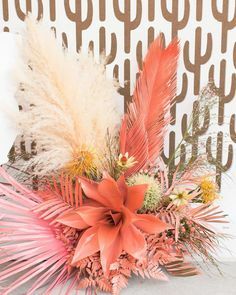 Place your main flower orders a week to two weeks in advance depending on requiring flowers from local farms or imports. 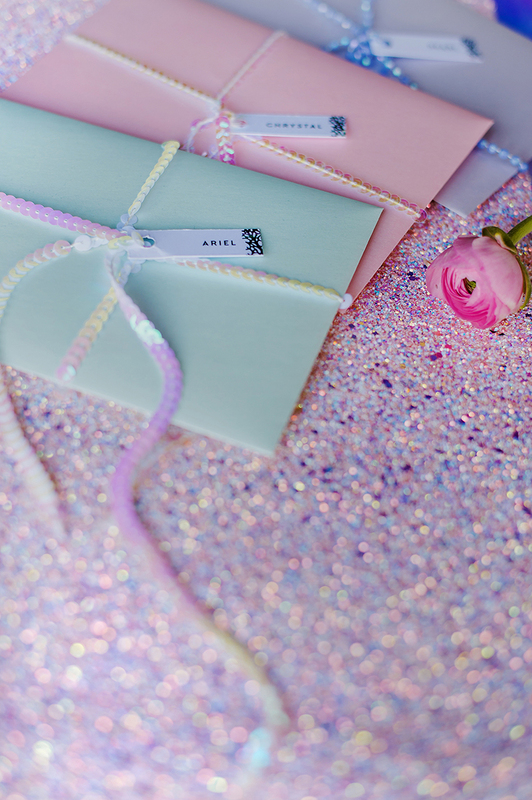 We like to collect the order ourselves as tend to find some treasures on the floor you may not have thought of ordering. Be sure to ask your team to proof read the credits submitted so as not to publish any mistakes. Also, be sure to advise them not to release any images until such time as your official publication has been released – you need to be respectful of publication’s terms and build a good ethical relation with them for future shoots you may want to submit. 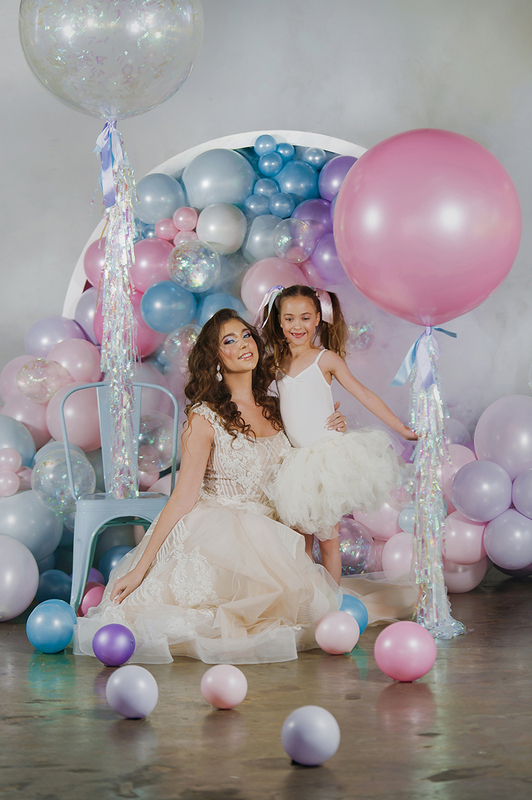 Ask your team to actively share the shoot images on all their marketing platforms and to be sure to diligently and accurately credit all involved. Encourage active sharing around the publication release date so to maximise the exposure and that the news remains fresh. 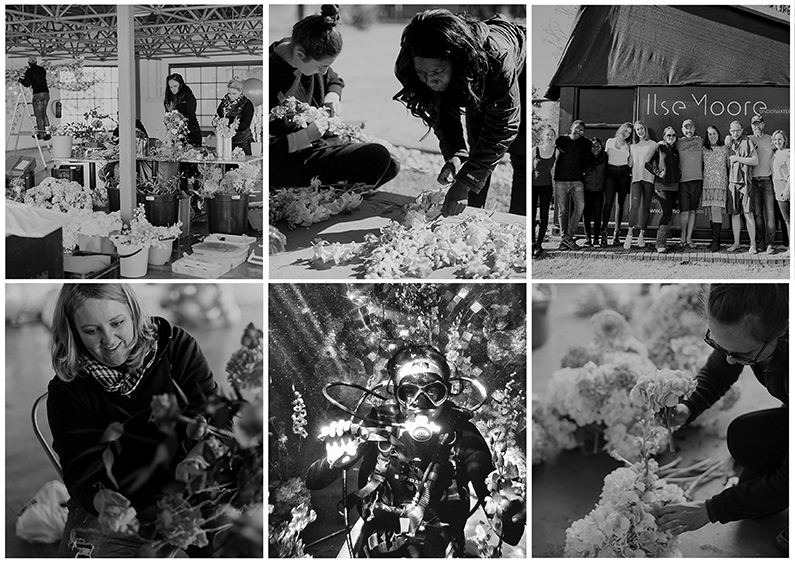 Thank you to all the participants for your time, enthusiasm, products and talents to bring this shoot alive.